This installment of Tudor City on Film focuses on The Peacemaker, a 1997 film starring George Clooney and Nicole Kidman that delivers its action-packed climax in Tudor City. 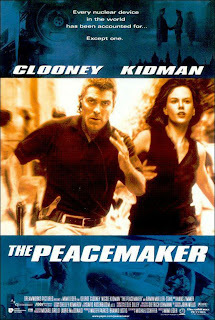 The Peacemaker tells the tale of an army colonel (smooth-talking George) and an atom bomb expert (no-nonsense Nicole) searching for Russian nuclear weapons stolen by terrorists who plan to detonate one of them at the United Nations. Besides watching Kidman and Clooney in their prime, the picture's high point is a breathless chase through Tudor City at the finale, complete with some geography-altering special effects. 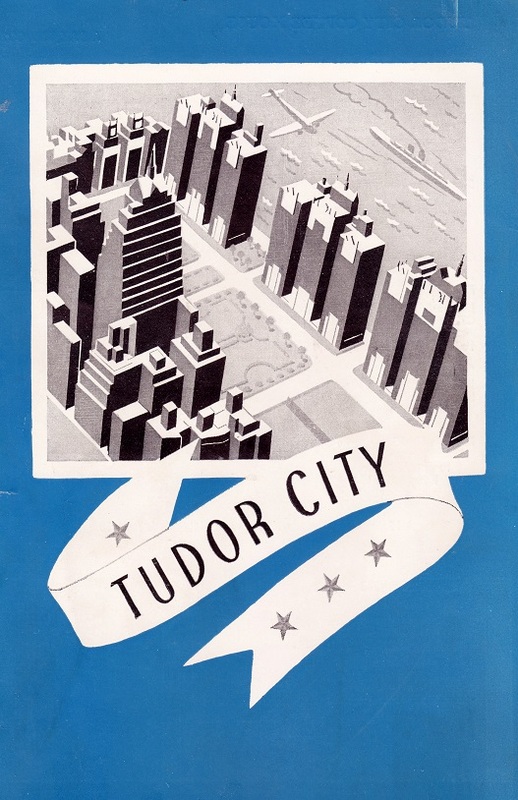 The sequence begins by introducing the U.N. and Tudor City for the climactic chase. 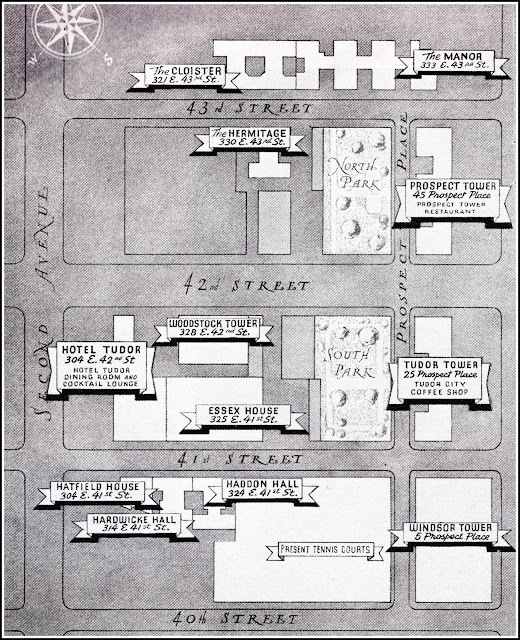 Hot on the trail of the bomb-toting terrorist, pistol-packing Clooney barrels along 42nd Street (The Woodstock and Hotel Tudor behind him). 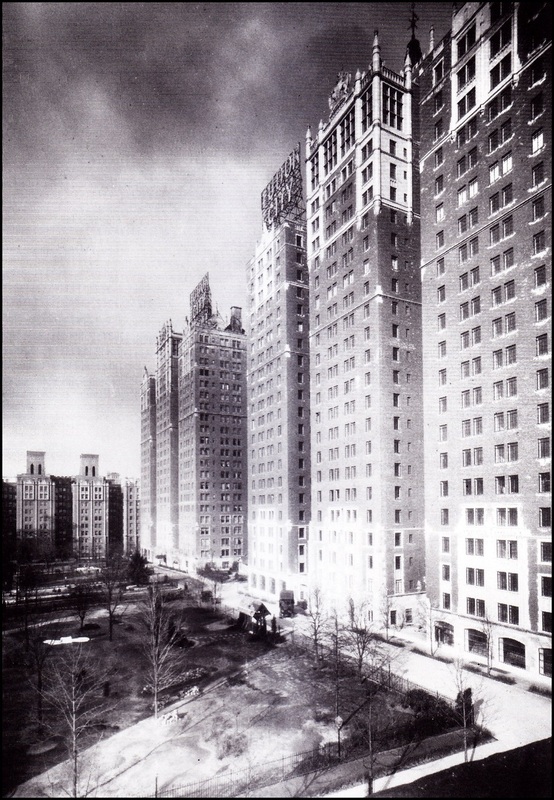 He tears up the Tudor City staircase, then gets a call from Kidman in front of No. 25. 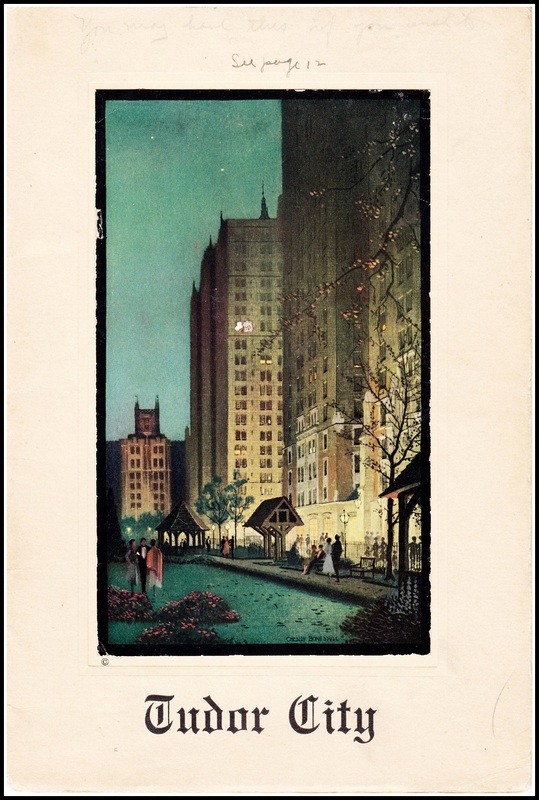 He charges across the Tudor City Bridge to find her. They reunite on 41st Street, where she suspects the bomb-toting terrorist is hiding in the church on the corner. Yes, that's right, an only-in-the-movies church in Tudor City. View above looks east down 41st Street toward the river. (Conrad's Bike Shop, bottom left, lends some perspective). Thanks to some special effects wizardry, No. 5 has morphed into a Gothic cathedral, above right. The towers behind it are equally imaginary, apparently constructed in the middle of the East River. 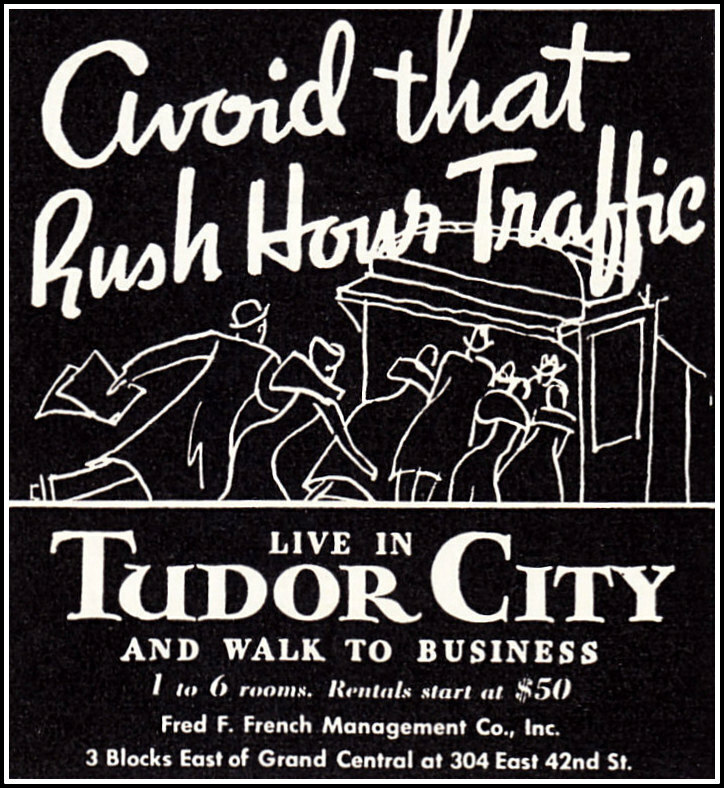 Below, the Tudor City Place street sign (above the Stop sign) keeps it real. They capture the terrorist in the church, and Kidman, an expert atom bomb dismantler, gets to work. She's only half-successful, managing to separate the plutonium from the detonator ‒ phew ‒ but the remaining explosives go off, sending them smashing through the church's stained-glass window in glorious slo-mo. 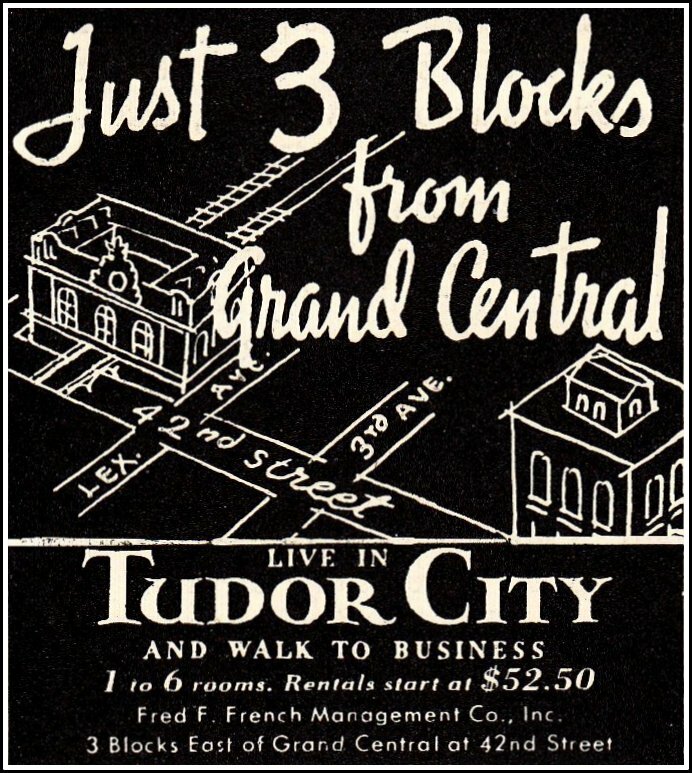 . .
. . .and catapulting them onto Tudor City Place. Both miraculously survive with minor scratches, in true action-movie style. The sequence ends with a sweeping crane shot down 41st Street that gives No. 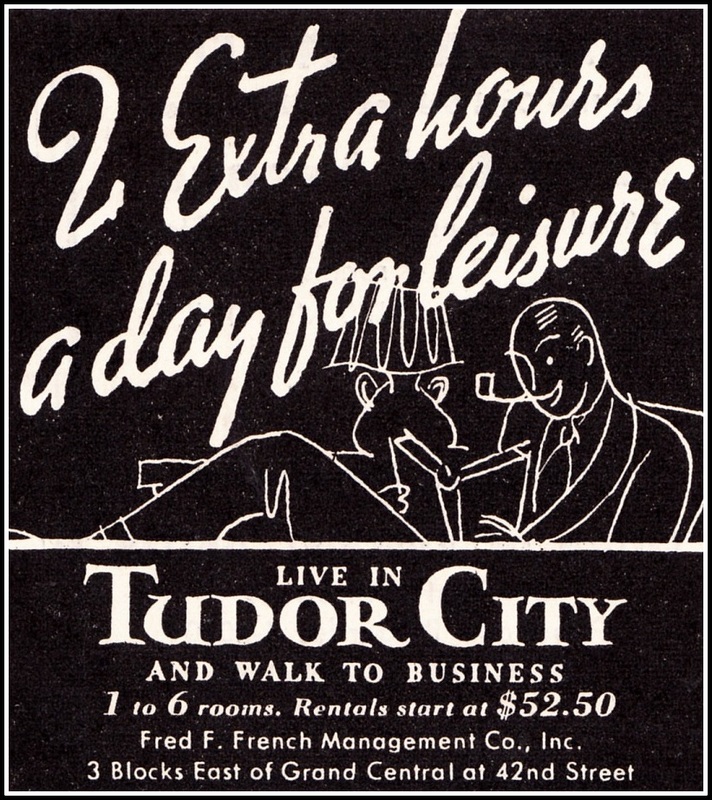 2, the 3 H's, the Hotel Tudor and Essex House their due. See clips of the street chase here and the bomb exploding here.